There is no need to pack up the machine and bring it into a shop. We Come To You! No concerns about getting the unit to and from the shop! Or when they will start working on it and or when you will be able to pick it up! We make an appointment usually within a few days of the initial call and fix it on the spot and on the appointed day. 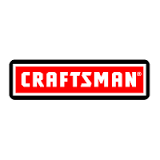 We carry most common parts for your equipment on hand. You can even watch us work if you like. Now you can't do that in a shop! 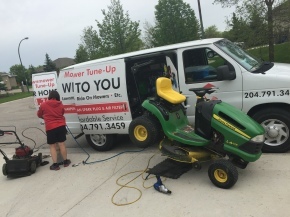 At Winnipeg Mobile Lawnmower Tune-Up, our commitment is complete customer satisfaction. We do our best to listen to your concerns, so that your requests are handled exactly as they should be, and we don't overcharge for our services. Please don't be afraid to ask questions about your mower or service we are providing! Give us a call at (204) 791-3459 or E-Mail us from here the website to schedule an appointment today.